I did not stir until the next morning around six. After a small breakfast I spent an hour reading my Bible, singing, and praying, before I was led back outside to spend another day working in the field. Just walking out there took all of my spiritual energy. My body ached, but my spirit ached even more. If I am going to survive this, I have to put on the full armor of God, I told myself. When I reached the field, I took my hoe and started planting where I had left off the day before. While I dug I silently recited Ephesians 6:13-17. I went over each piece of God’s armor and felt myself place it over my spirit. The belt of truth, the breastplate of righteousness, the helmet of salvation, and the shield of faith covered me. I looked at my hoe and imagined it to be the sword of the Spirit. As each piece went on, my strength grew. 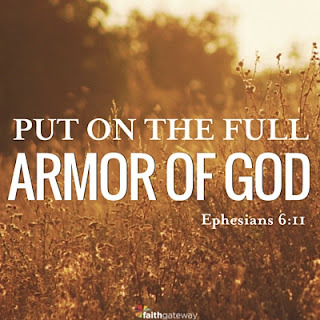 From that day on, I never left my room without first putting on the full armor of God to prepare me for the spiritual battles awaiting me. My second day in the field was pretty much like my first, as was the third day and the fourth and on and on and on. The only exception was the day I spent spreading fertilizer instead of planting. I preferred planting. The fertilizer consisted of pig manure mixed with dried leaves and cut with water. I hauled it out into the field on the A-frame, trying to balance two bucketfuls of this smelly mixture. I spilled more than made it into the field. Eventually the guards told me to carry one bucket at a time. I cannot describe the smell. It reeked of the most awful stink I’ve ever experienced. Editor’s Note: Because of his Korean-American heritage, Kenneth Bae felt compelled to somehow reach the people of North Korea. Living in China, Kenneth began to lead guided tours into the secretive nation. After six years of successful, peaceful tours, in 2012 Kenneth was suddenly detained, arrested and eventually sentenced to fifteen years hard labor. During his ordeal, Kenneth was forced to lean harder on God than ever before.